Learn How to Leverage Social Media Marketing For Your Practice. This easy-to-read workbook will provide you with some basic knowledge necessary to help you succeed online, as well as help you to maximize your time spent online. It is a snapshot of how Dr. Nathalie has used and leveraged Social Media Marketing to grow brand awareness and help grow her practice, and it will help you do the same. At just 62 pages, the workbook covers all main areas of social networking, complete with screen shots of some of Dr. Nathalie’s social media accounts, and plenty of tips and strategies for maximizing your efforts. Find out more about Leveraging Social Media here or purchase the ebook here. Roadmap to Wellness is a simple, self-paced, on-line coaching program that gives your patients the tools and strategies to live a life-long journey of better health, energy and vitality. Roadmap to Wellness will explore the benefits of subjects such as Nutritional Typing™, living an organic lifestyle, implementing exercise, beauty product safety, evaluating wellness at home and effective goal setting. Participants will complete a series of action-oriented exercises that, upon completion, will provide them with a sense of life purpose and vision, and gives them the tools to re-design their lifestyle to embrace true health and wellness. 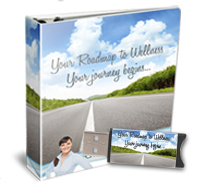 Learn more about becoming a Roadmap to Wellness Affiliate here. 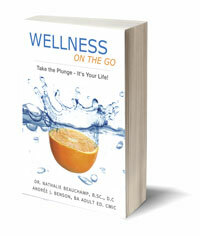 Add Dr. Nathalie’s Wellness on The Go book to your products for patients. “What else can I do, doc?” Do you struggle between spending more time with them and getting to the next patient waiting to see you? Engage them in making changes in their lives. Add another revenue stream to your practice. Reference credible content written by a doctor just like you. Purchase a case of 25 books to gift or sell to your patients and receive my added bonuses. Find out more here.